Blog: Book Review: How Women Rise! 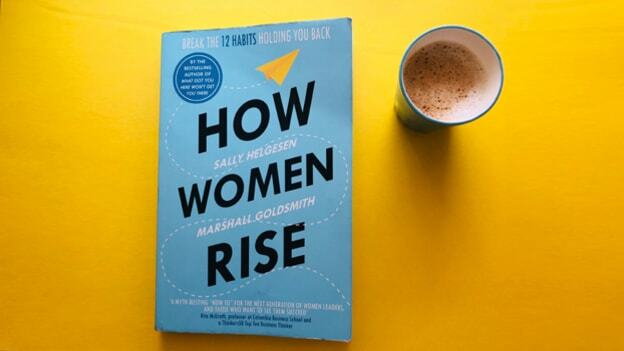 Sally Helgesen & Marshall Goldsmith's book `How Women Rise Break the 12 Habits Holding You Back from Your Next Raise, Promotion, or Job' is a life-altering manual on how women can take back control by changing behavior traits that are crippling their career advancement. Reading `How Women Rise ± Break the 12 Habits Holding You Back from Your Next Raise, Promotion, or Job' was a tough task; partly because it showed me a mirror-like none other, and partly because it made me want to enlist every woman I know into reading it urgently. A life-altering manual on how women can take back control by changing behavior traits that are crippling their career advancement, the book neatly outlines 12 habits or personality traits that women often develop in their professional journeys, by outlining stellar case studies that decode each `obstructive pattern' bit by bit. The biggest paralyzing factor in Indian organizations even today is the use of `gender diversity' as a buzzword without making room for real change. A deeper look reveals that our corporate system is hardly geared to factor in challenges that women face each day, especially since their measurement of performance in what can only be called `generic metrics' of advancement, is one of the major reasons women are still undervalued. We do not know how to acknowledge leadership strengths that women bring to the table because male leaders simply do not understand the strengths women bring to the table. Sadly, our cultural reality reeks of mansplaining and requiring women to lead `more like men' – a myth this book beautifully breaks. The book recognizes that at the workplace, the roadblocks women face significantly differ from the roadblocks that men face, and the first stakeholder who should realize this should be the women professionals. Marshall's ground-rule request in the book is for women to ™stop being so hard on yourself∫, and he further outlines common hallmarks of conduct that prove as caution lights in women's road to success. These are reluctance to claim achievements, expecting others to spontaneously notice and reward contributions, overvaluing expertise, just building and not building and leveraging relationships, failure to enlist allies from day one, putting the job before your career, the perfection trap, the disease to please, minimizing, too much ruminating, and letting the radar distract. The book encourages women to acknowledge that culture and structure don't lie within their control, whereas their own behavior and habits do. And that's the best place to start improving in order to enrich the quality of their lives at work and the prospects for reaching full potential. If women want to raise others effectively, they need to start with themselves first. The authors conclude that there are three broad beliefs that keep women stuck: ™Ambition is a bad thing; Being a good person means not disappointing others; and Women should always be role models for other women.∫ This hypothesis rings especially true for the Indian women managers, leaders, newly advanced CEOs or start-up junkies of today, who are often too busy concentrating on their jobs vs. advancing their careers ± another gem of a perspective that book outlines. Personally, the biggest lesson that Sally Helgesen and Marshall Goldsmith have taught through the book is to effectively break the disease to please by learning to say `no' when due. The examples stated in the book perfectly elucidate the three-step process that is simple yet effective in bringing about and enlisting change – focusing on a single habit at first, asking your peers or those close to you for support, and lastly, declaring your intention to stick to it, so that the environment can also reflect the change you wish to bring to it. I have read many books on women leadership and enhancement but `How Women Rise' breaks the inertia and sets you on a path to measurable action. I found myself hoping I had access to a guide like this sooner, and promising that I will pass this one on for generations to come. Aakanksha Gupta is the Co-founder and CEO, The Other Circle, India.